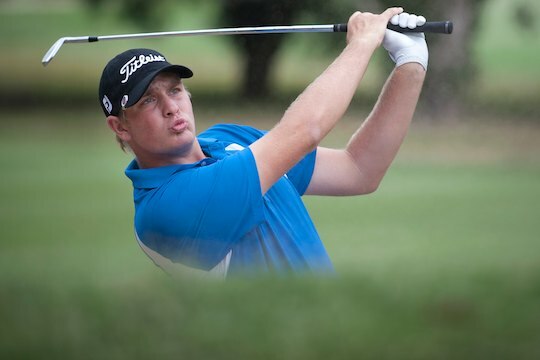 Golf Australia has announced the members of the Golf Australia Rookie Professional Squad for 2014. The squad members are: Rebecca Artis, Jake Higginbottom, Nathan Holman, Stacey Keating, Bryden Macpherson, Cameron Smith, Matt Stieger, Brady Watt and Jack Wilson. The program comprises nine players this year. The Golf Australia Rookie Program offers a way of assisting professional golfers as they enter the most exciting yet challenging time of their professional careers; finding and establishing themselves on an international Tour and understanding the demands of travelling to different parts of the world whilst at the same time trying to compete against the best players in the world. Successful applicants each receive a rookie scholarship that is offered for a period of one year with a review after six months. The scholarship holder can be part of the program until their fifth year of professional golf. There are two streams of funding within the scholarship. The Training and Preparation funding offers support to access coaching, strength and conditioning, biomechanics, sports psychology, physiotherapy and advice from nutritionists. The Competition and Travel Funding helps cover a range of player expenses including airfares, accommodation, entry fees and caddy fees. Golf Australia High Performance Director Brad James said this year’s squad includes a number of new professionals in addition to several players who have Tour experience. “It’s a challenging environment out there on Tour when players have to coordinate all of their travel, budgeting and various other matters – in addition to playing professional golf at a competitive level and improving their games,” James said. “It is based on a culture of success and it is important that these athletes continue to track towards top 100 world ranking status in order to be considered again for the program in the future,” James said. Is English Golf entering a new golden era?